In 2011, Malaysian heritage celebrated a victory when the Majlis Perbandaran Pulau Pinang (MPPP) very courageously exercised their discretionary powers by ordering Tetuan Klassik Tropika Development Sdn. Bhd. to rebuild the iconic double-storey, Anglo-Indian Palladian mansion at 20 Pykett Avenue owned by the late Dato Khaw Bian Cheng. Dato Khaw was the grandson of the Penang- based magnate Khaw Sim Bee (1857-1913), a former Governor of Phuket. The developer had earlier submitted a proposal for several high-rise buildings on the site, but whilst awaiting approval of their plans they chose to willfully demolish the heritage building on June 2010, a few days before a scheduled visit by the Local Authority. This ensured there would be no heritage structure to engage the visitors, no spaces to be wowed by and no physical evidence of the building to facilitate a debate about its heritage values. We have seen this tactic used by developers in Malaysia time and time again; legal loopholes are exploited and penalties imposed for illegal demolition are miniscule (in this case, it was a mere RM 6,000.00) when compared to profits to be made without the encumbrance of a heritage building in the middle of the site. Once such a building is wiped out, the argument to conserve its cultural heritage values becomes academic. Recently, YB Chow Kon Yeow, the Penang State Exco member holding the Local Government portfolio, made a public announcement that the MPPP had rescinded their order for rebuilding on the basis that the property was not within the UNESCO George Town World Heritage Site and neither was it listed as a Category 1 or Category 2 heritage building. This was a known fact from Day One. So what had changed? This begs the question as to what criterion the order to rebuild was based on in the first instance or whether there was ever a legal possibility that the order could be enforced, given that the MPPP has lost several Planning Appeals Board cases when the legal status of their heritage listing had been challenged. Concerned heritage citizens and residents are up in arms and extremely disappointed with the government for backing down. Cynically they say that once again big business has triumphed over the aspirations of civil society. In the end, the great fanfare that accompanied the initial order turns out to be merely a grand gesture, as meaningless as the paper it was written on. In the intervening four years, the developer did not rebuild as ordered and in 2014 put in a fresh application for a new high-rise development with even higher densities in an established housing area. Between the time the building was demolished and the day the latest plans were approved the land value alone has risen five hundred percent or more! A Local Authority which has no mettle to see its convictions through is a poor steward of our built environment. What was a victory has now turned sour. 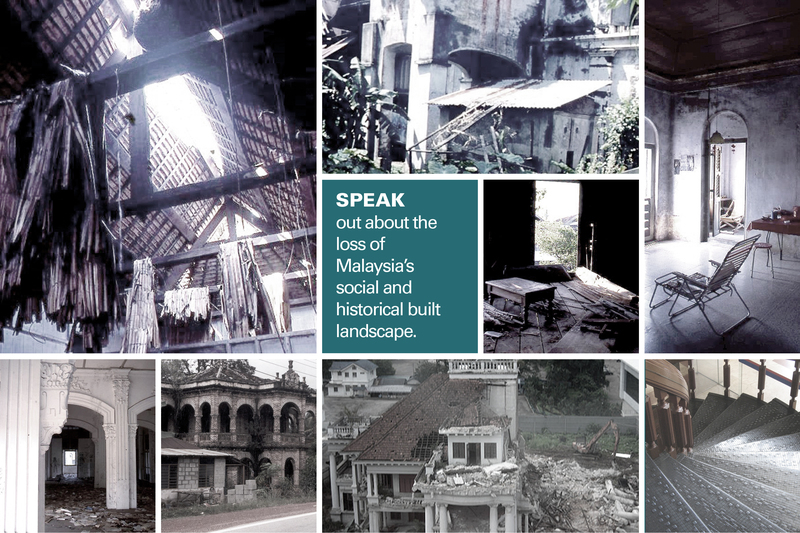 Badan Warisan Malaysia is gravely concerned at the dangerous precedent which has been set for the protection and preservation of our heritage buildings and areas when a developer is rewarded for illegal actions and recalcitrance. This episode shows clearly that the laws and regulations in respect of heritage buildings in Penang, and we would hazard to guess, all around the country, continue to be inadequate to protect such properties. And unless a comprehensive study is made and more powers are given to the local council under the Town and Country Planning Act we will see a repetition, many times over, of what has transpired here. This decision has made a mockery of the Penang State Heritage Enactment which was gazetted in 2012 but has yet to see the light of day and speaks equally poorly of the National Heritage Act. There is no other choice. We must advocate that laws be enacted to allow Local Authorities to imposed million dollar fines and imprisonment for illegal demolition as they do in many developed countries. We must push for our right to take out injunctions to stop demolition of heritage properties in progress. The Penang Local Plan should be gazetted and heritage buildings beyond the World Heritage Site listed without further delay so there are no more excuses, no more chances to undermine justice and heritage regulatory frameworks. Because sadly when a physical legacy is razed to the ground there is no second chance. This entry was posted in News & Events and tagged Architecture, Buildings, heritage, History, in the news, Laurence Loh, President Badan Warisan Malaysia, press statement, Vernacular Architecture. Thank you for supporting us. Heritage is for everyone and we are always saddened, and angered, when the values of these resources are so easily dismissed. Thank you for supporting heritage in Malaysia. It is an ever diminishing resource; sadly its cultural, social and historical values are seen as secondary and only the economic value of the land is recognised. Such shortsightedness. Once gone, gone forever.